Our friend LCpl Christensen was KIA in Iraq in Jan 2008, which is why I ordered the Memorial Bracelets. 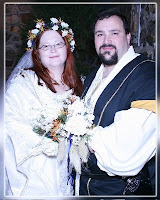 The photo I am enclosing was taken on our wedding day, November 15, 2008. We wanted to wait until that particular photo was taken because it was very special to us, just as Curtis was special to us. 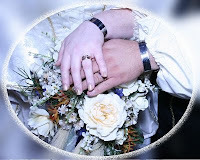 We specifically requested the photo of the bracelets.